I purchased a Yeti road project a while back and am considering selling it. I am a big Yet fan and sill have my trusty ARC 3.5. I just never warmed up to being a Roadie I guess. I would like some advice on what it is worth any information about it I should know before doing so. Here is what I can tell you. The bike is like 52 or 53CMs and was supposedly ridden 1/2 a season by a woman for the Yeti team in 1999 or 2000. This woman sold it to the person I purchased it from who were college friends. I called Yeti with the SN but he could not confirm not deny the story. The SN is OR05451. The bike is full Ultegra - I have added 42cm WCS carbon bars, Cinelli gel tape, and a 4 AXIS stem. Other than that it is all original. I just had the LBS install Conti 4-season 28s as well. Other than the everything is original. I would appreciate any advice before moving forward with selling this. Thanks in advance for any information. Hello! Quite a hard one top pop a value on. . . Yetis from this "interim era" are a matter of what people will pay. Have seen all sorts of prices largely dictated by the finishing kit. However, I am after a road project in this size, so I myself may be interested. . . and therefore it wouldn't be sensible for me to start driving the price! pop me a mail on 88888 at 99999 dot com and we can roll from there! I'm guessing thats Tara Llanes old bike. Did you manage to sell the bike or come up with a price?? Bike looks awesome - definitely interested in it if it's still available? 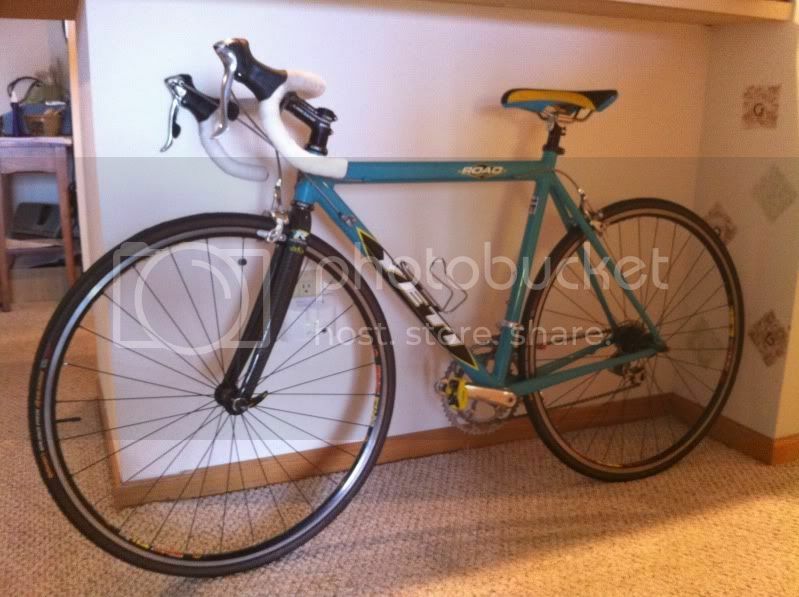 I'm currently selling the same bike but want to make sure it's the right one. I found it while recycling in an alley...looked as if it was from a garage clean out but it has no stickers. When I looked up the serial # it said it was a yeti.Any way some one could give me an idea of what to ask for it? No stickers- Post a photo and we'll tell you if it is a Yeti.